Catholic groups are urging global leaders to reach a deal on climate change this year. Almost 100 organizations Thursday launched a worldwide petition that calls for dramatically curbing greenhouse-gas emissions and helping vulnerable communities prepare for rising sea levels, more-frequent storms, longer droughts and other effects of global warming. The Global Catholic Climate Movement’s initiative represents the latest in a series of moves by religious groups that are striving to confront climate-change denialism among Catholics and Protestants worldwide. For many conservative Christians, the idea that man could manipulate God’s creation remains outside their realm of belief. Religious groups are attempting to reframe the discussion as a matter of compassion and moral responsibility. Roman Catholic Pope Francis has called climate action “an ethical imperative,” and in January he expressed his belief that man-made activities are largely to blame for rising emissions and global temperatures. “For the most part, it is man who continuously slaps down nature,” the Catholic leader said. 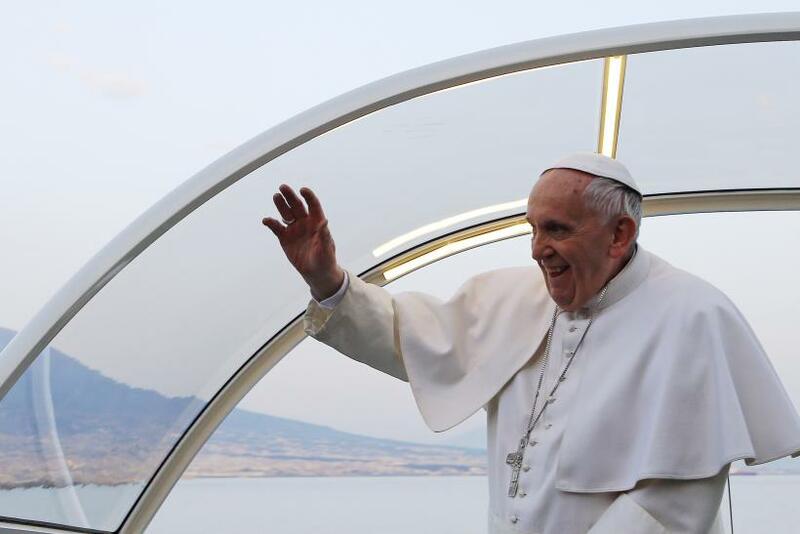 Francis is expected to release a first-ever papal letter on climate change this spring. The Catholic coalition’s new campaign encourages individual, parishes and communities worldwide to collect signatures and submit them to an online portal. The petition is targeted at the leaders of nearly 200 countries who have agreed to negotiate a global emissions deal at the United Nations Climate Change Conference in Paris Nov. 30-Dec. 11. “Impelled by our Catholic faith, we call on you to drastically cut carbon emissions to keep the global temperature rise below the dangerous threshold of 1.5 degrees Celsius [2.7 degrees Fahrenheit], and to aid the world’s poorest in coping with climate change impacts,” the online petition reads. At the U.N. conference, representatives of all the countries participating will submit pledges to cut carbon emissions in their respective nations. Early indications suggest the plans will likely fall far short of the targets needed to limit global warming to less than 2 degrees Celsius (3.6 degrees Fahrenheit), which many scientists believe is the maximum temperature increase the world can tolerate without risking catastrophic consequences. National contributions “will not be consistent” with international climate targets, researchers led by British economist and climate-change expert Nicholas Stern contended in a recent report cited by the Guardian.